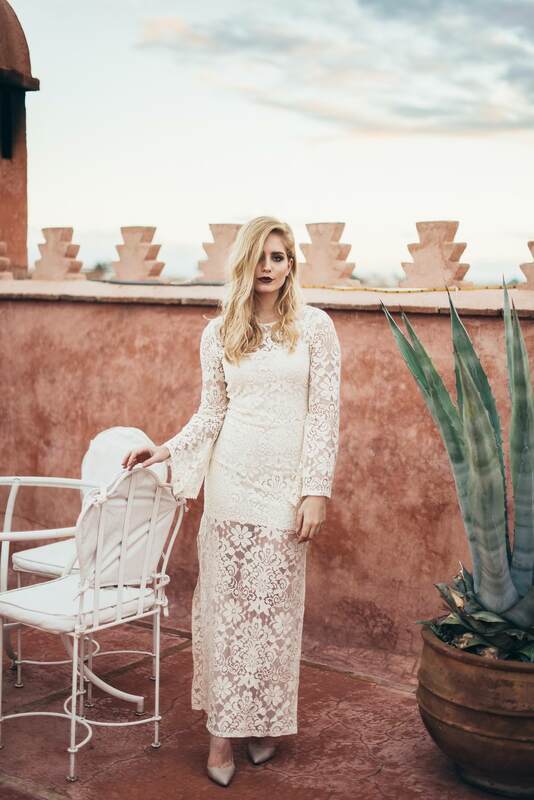 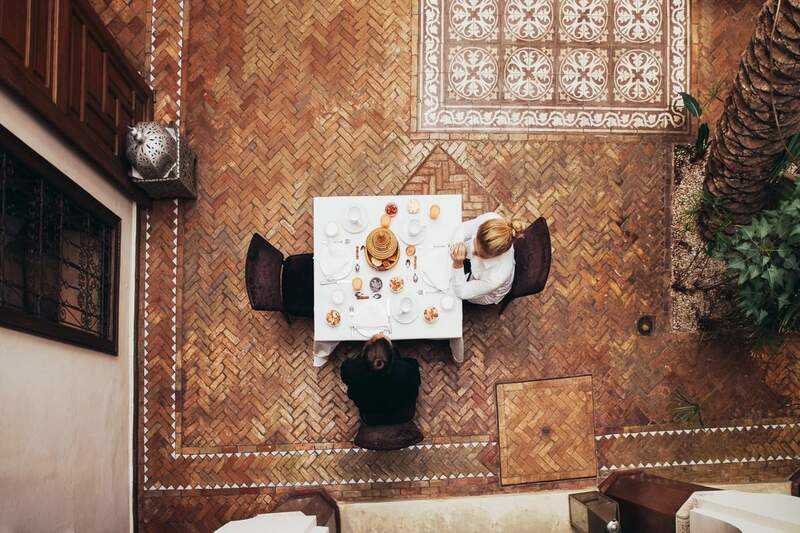 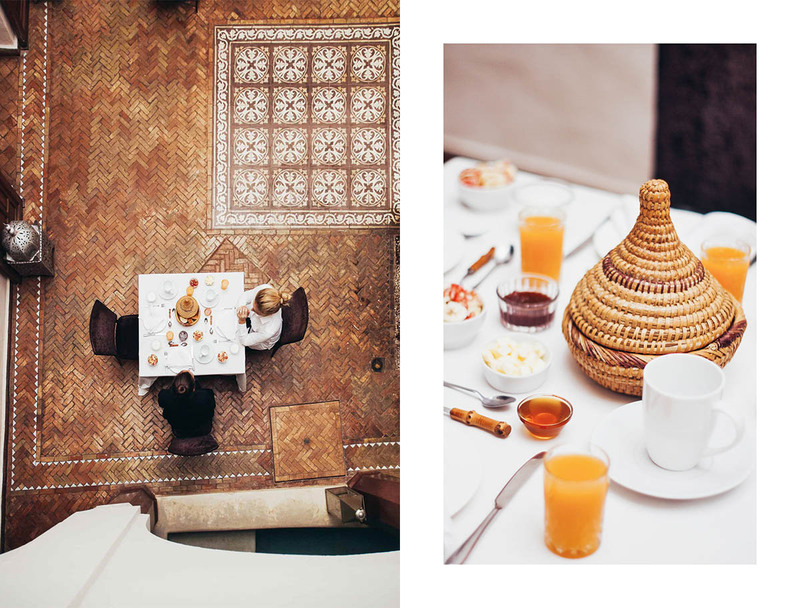 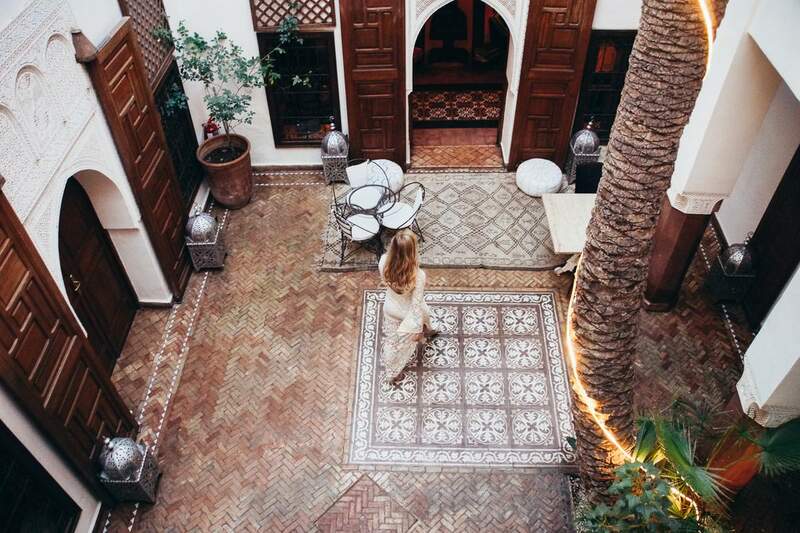 Zamzam riad is the perfect Moroccan sanctuary. 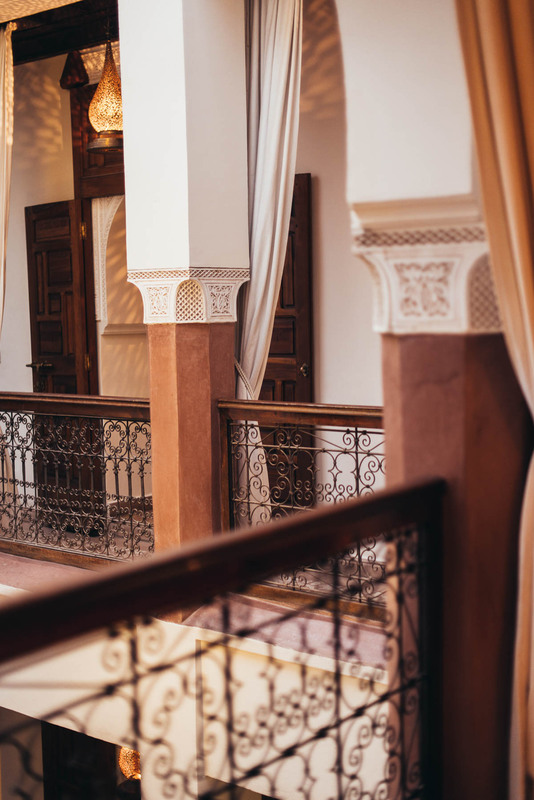 Zamzam riad has a lovely calming and tranquil feel to it, being located in a quieter residential area of the Medina. 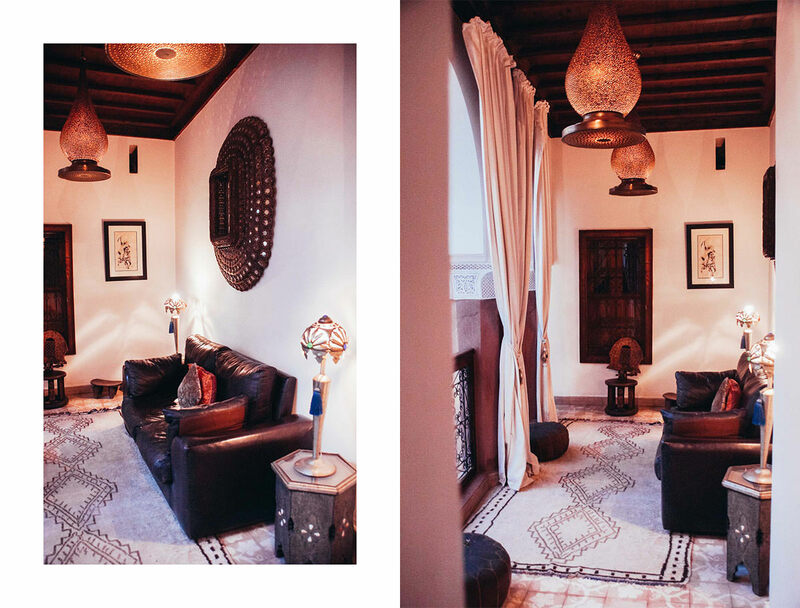 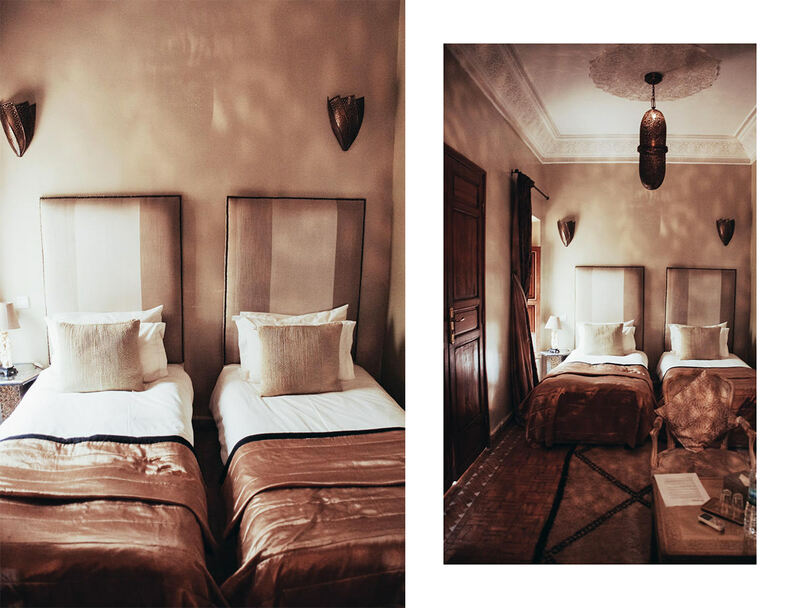 This riad with 7 rooms and suites is definitely the perfect match of luxury and homeliness. 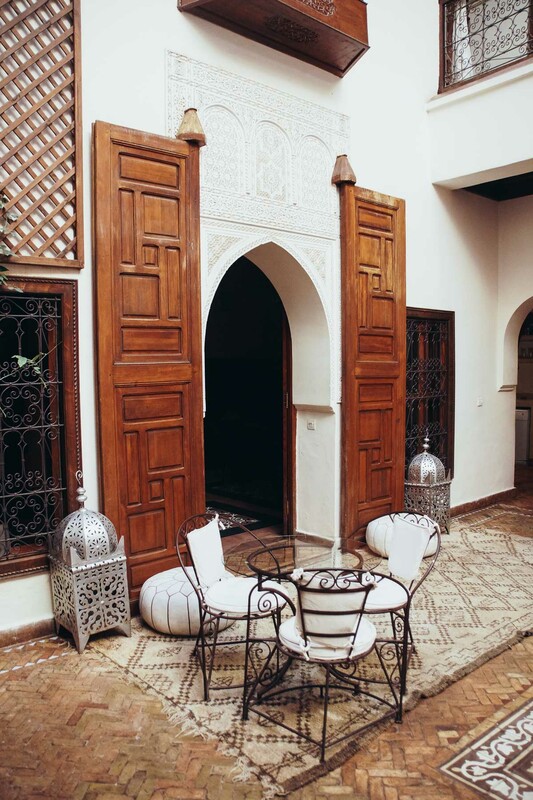 I fell in love with their central courtyard, with open air and their small pool. 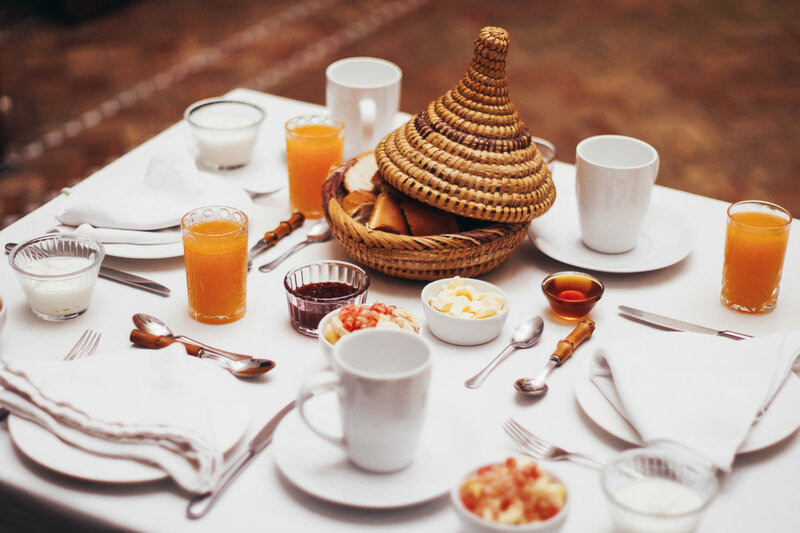 There’s nothing better than sipping morning coffee (which was excellently brewed), eating breakfast and chatting with friends in this amazing rustic, but luxury environment. 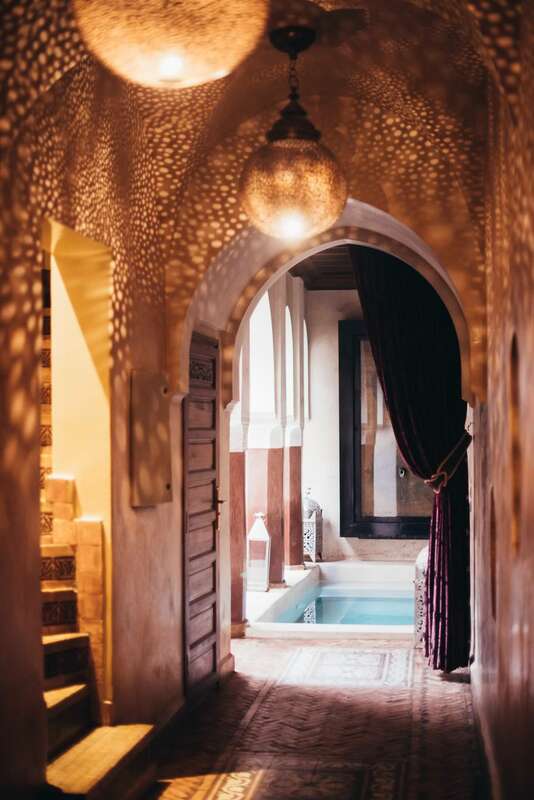 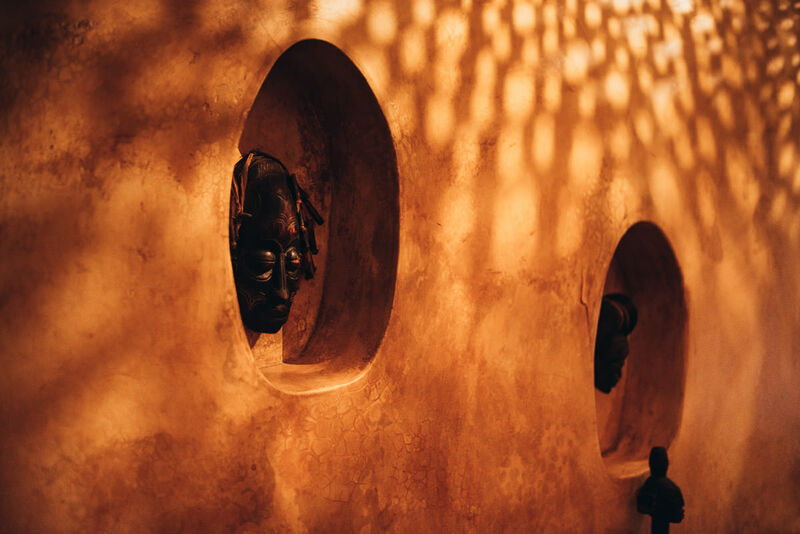 After a busy day of sightseeing, it’s a dream coming to Zamzam riad, relaxing and maybe even enjoying their Hammam Spa. 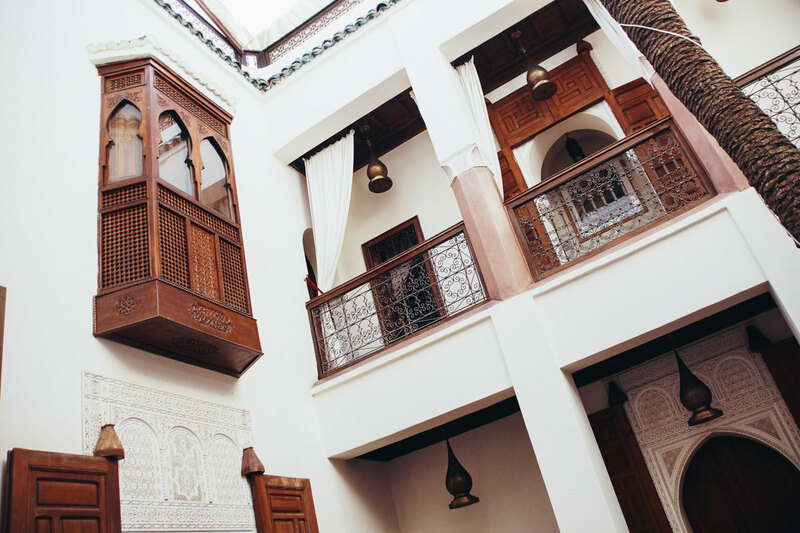 The view of the streets of Medina and the Atlas Mountains from the Zamzam riad terrace is just stunning. 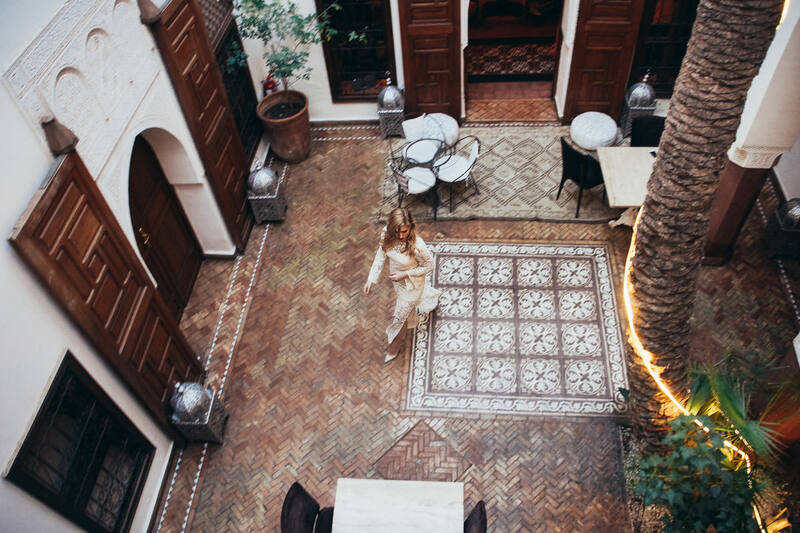 While the courtyard with the pool is the first thing you notice when arriving, the terrace of the Zamzam riad is beautiful as well. 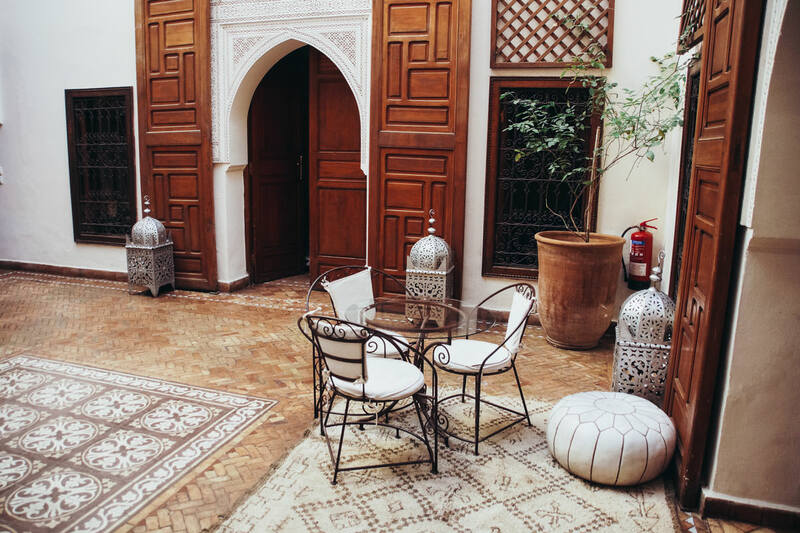 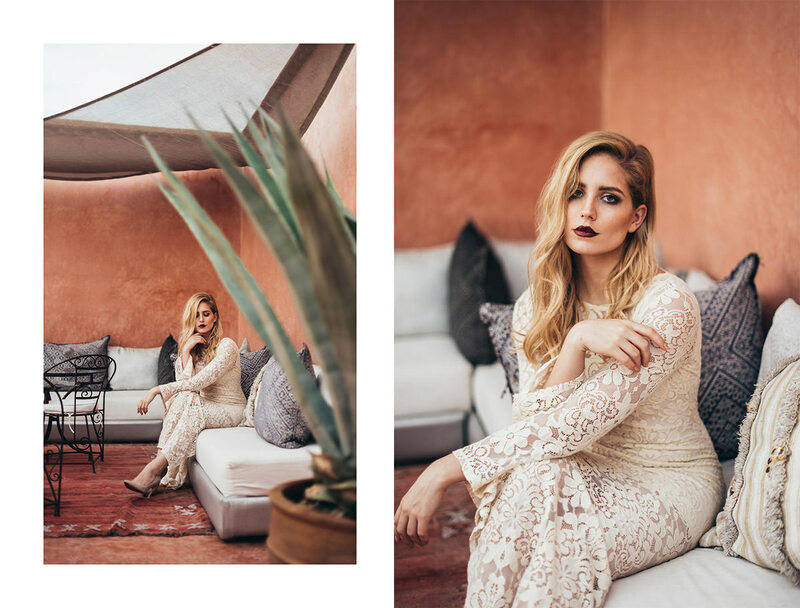 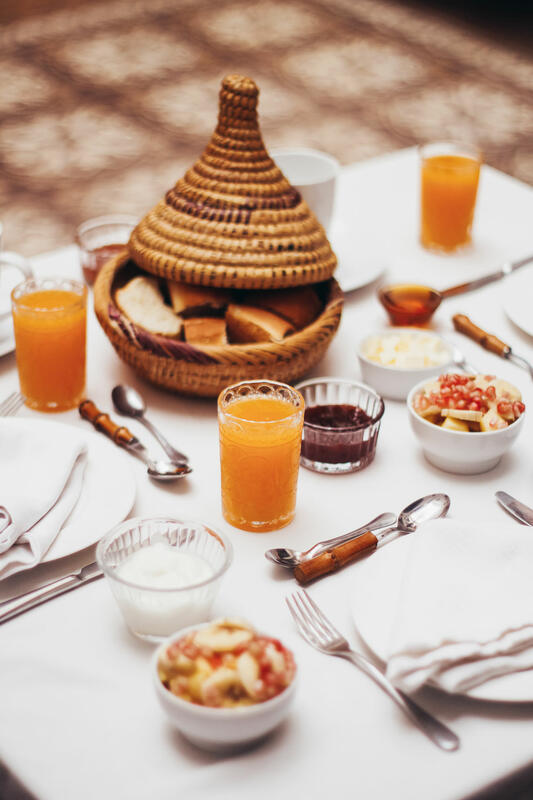 You can enjoy the view of the Medina and the mighty Atlas Mountains (that was something Katarina, being a mountain geek, definitely appreciated), breath-taking sunsets, sunbathing, having a glass of wine there, or even a dinner. 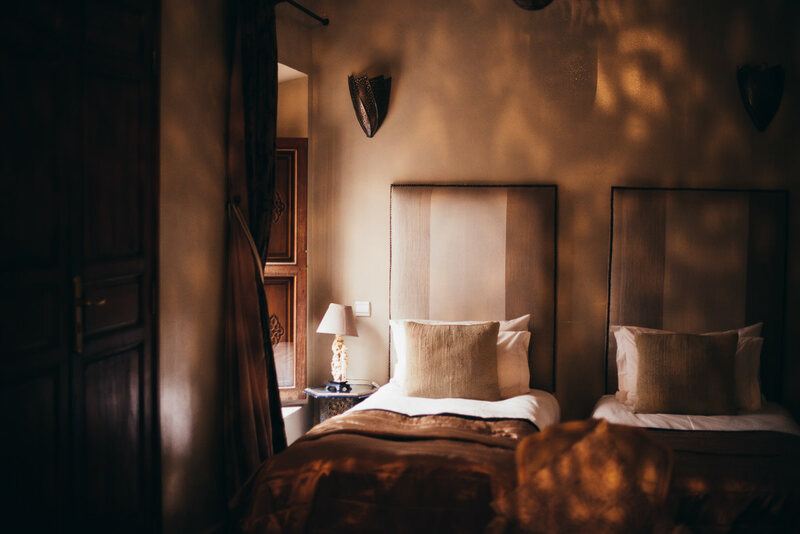 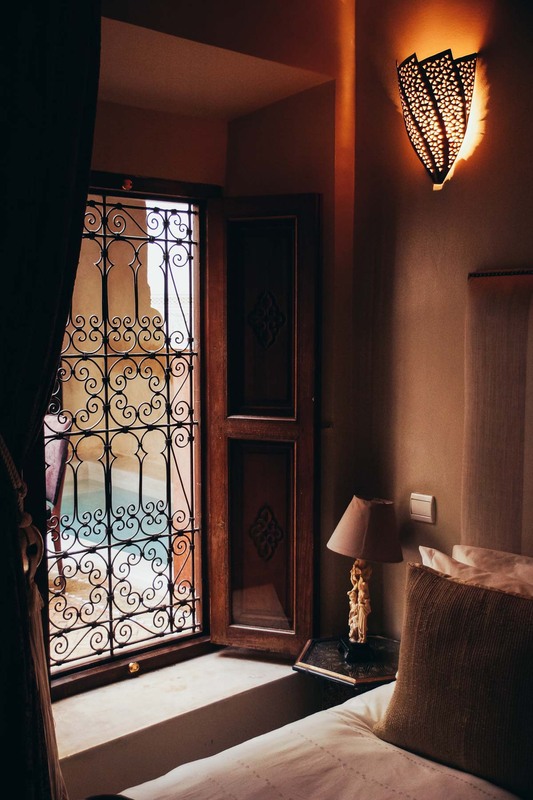 Mixing Moroccan, French and Berber elements, this riad convinced me with amazing rustic, yet luxury décor and great service.